With any next-generation product, particularly within the image-conscious technology industry, we expect a thinner, lighter, and slicker form factor all round. While the jury’s still out on whether the PlayStation 4 console looks as cool as its predecessor did when it launched all those years ago, there’s no doubting that Sony has scaled down the packaging while scaling up the hardware beef within the PS4. Sony’s PS Access channel has a short video pitting new and old side-by-side, which not only lets you make up your mind as to which looks better, but also gives you some idea as to how much more compact the PlayStation 4 is. Sony’s next-gen console was announced all the way back in February, but it took the subsequent launch of the Microsoft Xbox One before the on-looking gaming world got some answers to some of the key questions. Despite the confirmation of its existence at the beginning of the year, we had to wait until E3 to actually take a glimpse at it, and I, like many, have still to make up my mind as to whether I like it or not. If anything, the dark color and relatively compact design mean it will slot into most living room compartments without any hassle, and if Sony was going for the understated, set-top box look, I think the PlayStation 4’s design is right on the money. The PlayStation 3, by contrast, is looking a little bloated and dated these days, but I do recall being rather excited by its futuristic look and slick finish when it first hit the retail market in 2006. Still, Sony has quite cleverly used the original, significantly heftier PlayStation 3 to really attempt to flatter the company’s latest and greatest console in the video clip below. I guess that’s fair, considering both are launch models, but the PlayStation 3 Slim should also have been thrown in at the end somewhere, just to offer a bit of a wider perspective. 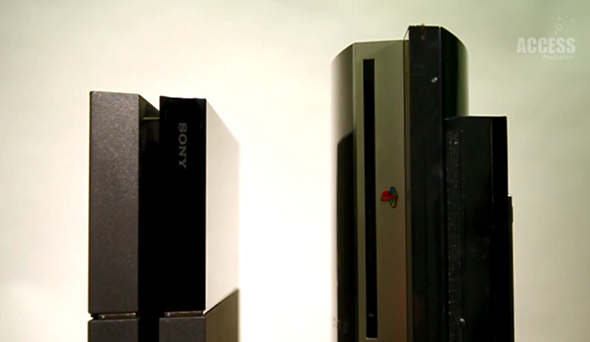 And if the Slim was compared to the PS4, it would’ve been a more fair comparison. 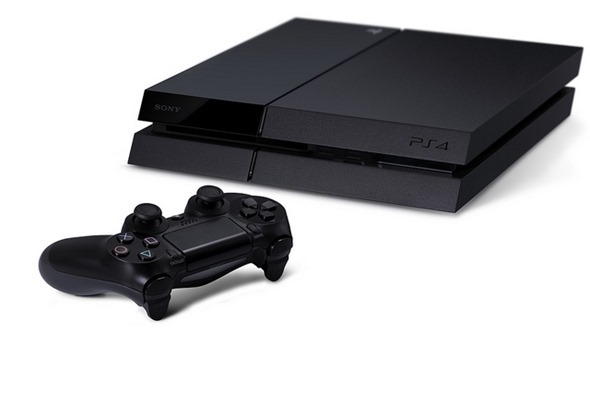 Do the PlayStation 4’s aesthetics float your boat? Or do you still hold a candle for the curvaceous PlayStation 3? Check out the video and be sure to leave your thoughts and opinions via the usual mediums below!